Nestled along the coast of San Diego County, just north of Del Mar and west of Rancho Santa Fe, Solana Beach is a small, breathtaking beach community. While Solana Beach offers a wonderful small town atmosphere, residents can enjoy big city amenities by taking a short 30 minute drive to the heart of downtown San Diego. 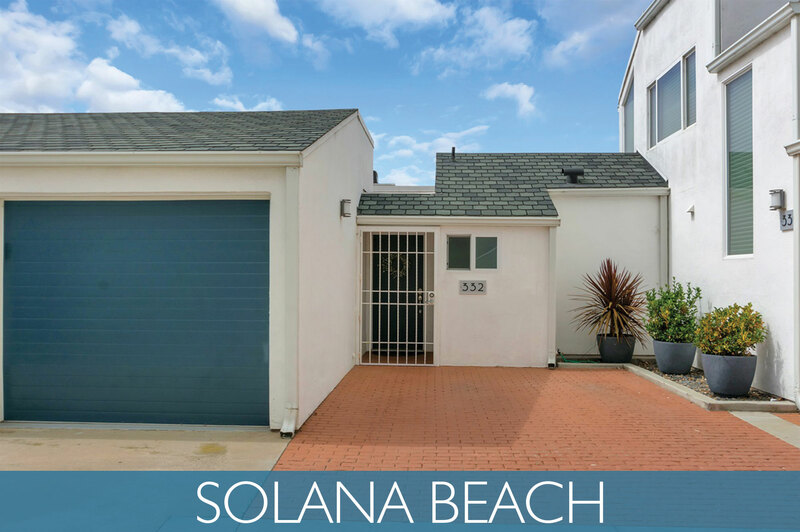 Families have long been drawn to Solana Beach for its wonderful school district. The excellent public and private schools prepare students for competitive entrance to the most prestigious colleges in the nation. View more about Solana Beach on Pinterest! The main routes in Solana Beach include I-5, Highway 101, Lomas Santa Fe Drive, and Via de la Valle. Solana Beach is also one of the stops for the Coaster Rail System, located at 105 N. Cedros Ave, that connects with Amtrak to provide rides into downtown San Diego or hop onto one of the many Amtrak northern routes to enjoy many wonderful stops along the Western Coastline. Fletcher Cove - located at Solana Beach Plaza, the popular Fletcher Cove has a wonderful little cobblestone beach with a park that overlooks the ocean, and is a favorite location among the locals. The picturesque cove has lifeguard service, but not much sand and can be inaccessible at high tide. Off the beach, there is volleyball, shuffleboard, basketball, showers, picnic tables, and free public parking. Fletcher Cove includes a free public parking lot, restrooms, and a basketball court. Tide Beach Park - located via stairs at Pacific Avenue and Solana Vista Drive, it has lifeguards and free parking along the streets, as well as tide pools to watch the sea anemones and fantastic snorkeling. Seascape Shores - located just south of Fletcher Cove, between condos along the 500 and 700 blocks of South Sierra Avenue, Seascape Shores is the perfect location for enjoying the surrounding scenery.